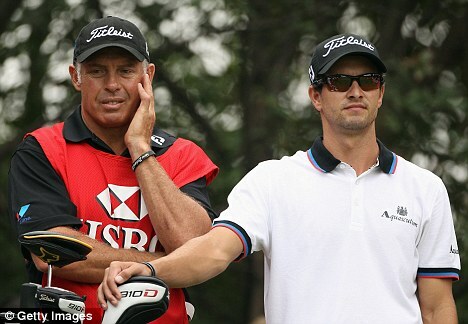 Tiger Woods has said Steve Williams is not a racist after accepting a grovelling apology from his former caddie. The former world No 1 golfer revealed that the two of them had shaken hands to settle the row that has divided the sport since Friday night. That was when New Zealander Williams, who earned around £10million carrying Tiger’s bag through his Major winning heyday, told the audience at a caddies’ dinner in Shanghai that his motivation for helping his new employer Adam Scott win was to ‘shove it right up that black a****hole’. 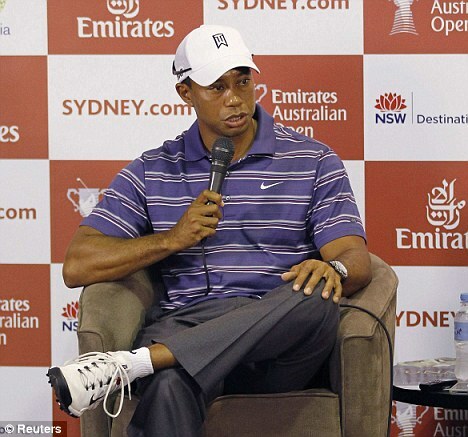 Woods had refrained from entering the row until he gave a press conference in Sydney where he has arrived to prepare for the Australian Open. He said: ‘Steve Williams is not a racist, but the comment should not have been made, and I wish that he hadn’t made it. ‘We have had talks about the matter this morning, face to face, and we have shaken hands about it now. ‘It was hurtful, it was the wrong thing to say, and that is something we both agreed on. He did apologise, and it is time to move forward. Woods’ decision to put a lid on the row will be a relief to Scott, who had resisted calls for him to sack 47-year-old Kiwi Williams – as well as for organisers at The Lakes course in Sydney who had already decided to keep Woods and Scott apart when the Australian Open starts on Thursday. Williams served as Woods’ caddie for 13 years, and for 13 of his 14 major wins, before a fractious parting of the ways this summer. Asked how their relationship had deteriorated so badly, Woods said: "I don’t know that one.